Reception: Puerto Montt airport. A visit to Lahuen Ñadi park.This area maintains a small example of the beautiful Alerce forests from the central valley, which are practically extinct due to over exploitation of this tree from the times of the settlement. The alerces grow in areas of low fertility and bad drainage, called ñadis. Transfer to Puerto Varas. Brief tour of the City of the Roses. Afterwards we shall return to your selected hotel and you will have the rest of the day to spend at your leisure. In the evening you will inevitably be drawn to enjoy a stroll along the shore of Lago Llanquihue – with amazing views to the surrounding scenery of volcanoes. Early in the morning we set out for a full day excursion at the Volcano Osorno. 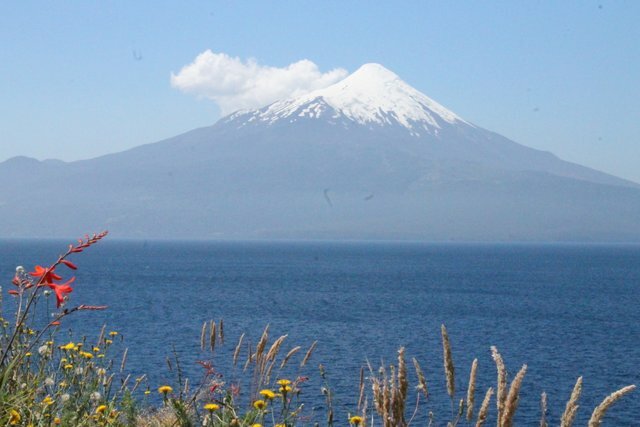 The drive by public bus leads us along the shore of the Llanquihue Lake with breathtaking views to the volcanoes Osorno and Calbuco. On a gravel road we reach the mountain hut La Picada, the starting point for our hike. We shall walk peacefully on the surface of the volcano which has got a perfectly shaped and snow-capped cone, while we enjoy constant views to rainforests and volcanoes. After an hours walking we shall see for the first time, the emerald blue Lake Todos Los Santos (All Saints Lake) lying deep below us surrounded by high mountains. In the afternoon we reach the small settlement of Petrohue which is situated directly on the lakeshore. There our vehicle will be waiting for us. Before we return to Puerto Varas we surely like to dip our feet in the refreshing cool water of the Lake! Overnight in Puerto Varas. Difficulty: easy, about 4-5 hours, mostly downhill. Early morning drive south to the Reserva Natural Lago Llanquihue. 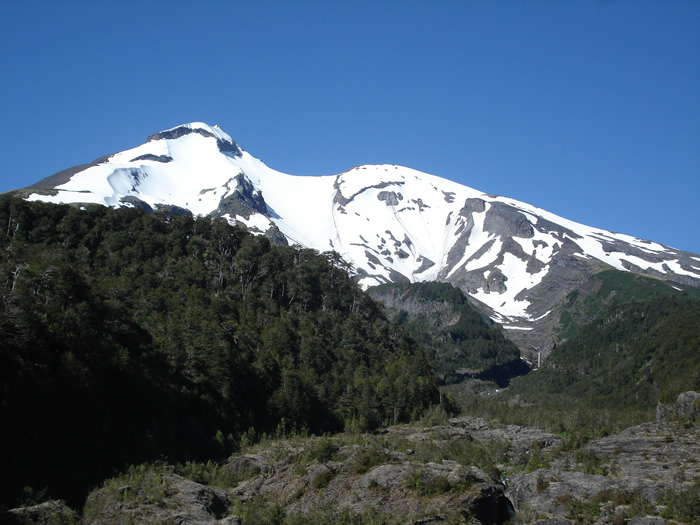 This Nature Reserve sits on the Western Slope of the Volcano Calbuco. Without hiking trails it would be impossible to get through the Valdivian Rainforest: the dense vegetation, with huge ferns, Nalcas (gunnera gunnera), mosses and majestic tree-giants form the highest biomass on earth! The richly green, fragrant and humid environment accompanies us on our way to the tree-line. To our next surprise: a wide panoramic view across to the Pacific. Above us towers the immense Volcano Calbuco which last erupted in 1961. In the evening we return to Puerto Varas. Difficulty: middle, about 5-6 hours, partly steep rise. Transfer to Puerto Montt airport.